Ground pork is versatile and richly flavored. Traditional uses include lasagna, meatballs, pizza topping, egg rolls, and dumplings. Substitute it for ground beef in spaghetti sauce, pork-burgers, tacos, or whatever you can imagine. 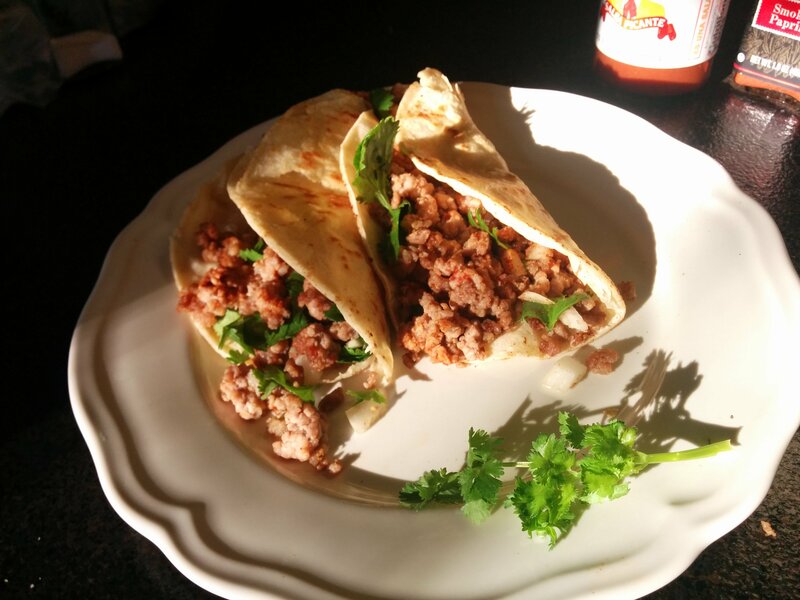 One pound of pork makes about eight tacos (4 servings). Season pork, crumble and brown in a well seasoned cast iron pan. Drain on a paper towel if necessary. Mix in onion and cilantro. Toast tortillas on a hot pan until soft just before serving.